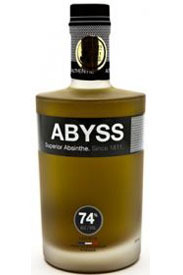 Absinthe is an anise and wormwood flavored distilled spirit, concentrated to very high alcohol level at 55% to 72% (110 to 144 proof), and meant to be diluted with iced water at varying ratios depending on the proof. By 1870 and during the Belle Époque, practically the entire drinking population of France was drinking absinthe regularly. During l’Heure Verte (or "The Green Hour") at 5:00 p.m. daily, masses of people congregated in the cafés to imbibe the tipple of choice absinthe, nicknamed the Green Fairy. 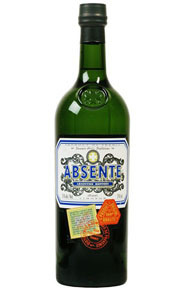 Due to notorious political and economic reasons, on January 7th 1915 absinthe was prohibited in France, the last country to eradicate the absinthe, (the U.S. banned it in 1912). Contrary to popular misconception, neither absinthe nor thujone, the primary compound found in wormwood, has ever been shown to be hallucinogenic or narcotic. It wasn't until December 2007, when the U.S. Alcohol and Tobacco Tax and Trade Bureau re-authorized the consumption of absinthe in America. The classic French absinthe ritual involves placing a sugar cube on a flat perforated spoon, which rests on the rim of the glass containing the absinthe. A precise amount of iced water is then very slowly dripped onto the sugar cube, dissolving with the water into the absinthe causing it to louche into an opaque opalescent white as it reacts to the essential oils in the absinthe. Watching the drink gradually change color was part of the attraction. No other drink is consumed with such a carefully calibrated ceremony. 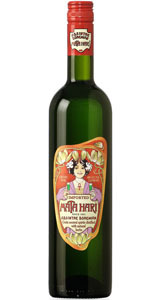 It’s part of what lends absinthe its drug-like allure (for instance, one talks about the "dose" of absinthe in the glass). Historically, absinthe was almost always drunk like this – even the poorest working man, in the roughest bar or café, would prepare his absinthe slowly and carefully. It was seldom drunk neat. Ice cubes were never added to the glass. Sugar isn’t essential and added, if desired, according to individual taste. 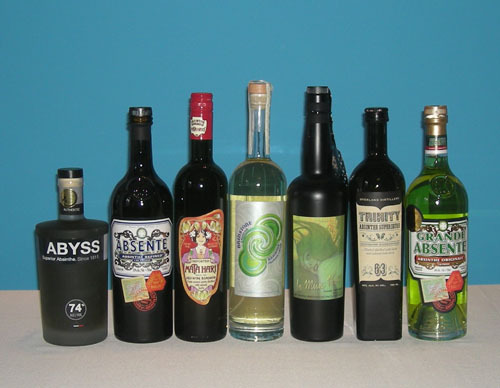 The Fifty Best held a “blind” tasting of 7 absinthes with 18 pre-qualified judges. Strict tasting rules were applied. The order of service was established beforehand by lottery. 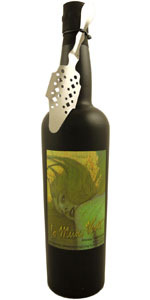 Each of the absinthes were poured into fresh glasses from new sealed bottles. Ice water was added to each of the glasses in the exact amounts suggested by the individual absinthe producers. Only unflavored, unsalted chips and crackers were available to cleanse the palate. The judges wrote down their impressions of each product on score sheets. The scoring was based on a 5-point system, with 5 as the best. Double-Gold, Gold, Silver and Bronze medals were awarded according to a pre-established range of final point scores received from the judges. Nose:Licorice, anise, mint, coriander, herbal, lemon, citrus. Palate: Mint, spearmint, lemon, lemongrass, orange & grapefruit peels, pistachio, elderflower, floral, anise notes, slightly chalky, dry, savory. Finish: Clean, fresh, cucumber, mid-sweet, short. 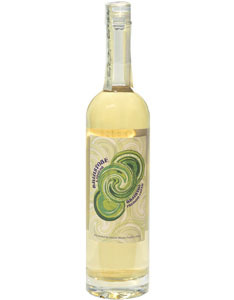 Nose: Licorice, anise, fennel, lavender, mint, peppermint, spearmint, Granny Smith apple, lemon, tropical fruit. 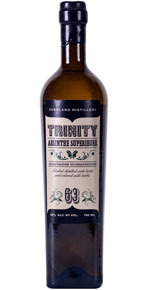 Palate: Vanilla, caramel, creme, milky, crushed fresh mint, candy-like, sweet, woody. Nose: Mint, lemon, citrus, intensely herbal, subtle licorice. Palate: Lemon-lime, lemon, mint, licorice, coriander, Echinacea, floral, milky, chalky. Finish: Crisp, fresh, herbal, short. Nose: Rosemary, herbs, oregano, bay leaf, green fields, lavender, white pepper notes. Palate: Coriander, fennel, mint, wormwood, grassy, slightly floral. Nose: Lemon, elderflower, mint, white pepper, subtle. Palate: Lemon wedge, unsweetened lemonade, figs, dates, star anise, oregano, hyssop, earthy. Finish: Lemon rind, citrusy, clean, smooth, short. Nose: Anise, mint, cashew, sassafras. Palate: Fennel, herbs, sage, floral, subtle wood, earthy, smooth. Finish: Light, fresh, flowery, hints of violet, fennel, white pepper, sugary, short. Nose: Subtle mint, apple, grassy, fennel, coriander, chocolate mint. Palate: Artichoke, green vegetable, grapefruit peel, coriander, floral, mint, Amaro, bitter herbal notes, earthy. Finish: Fresh citrus, anise, bitter, medium.